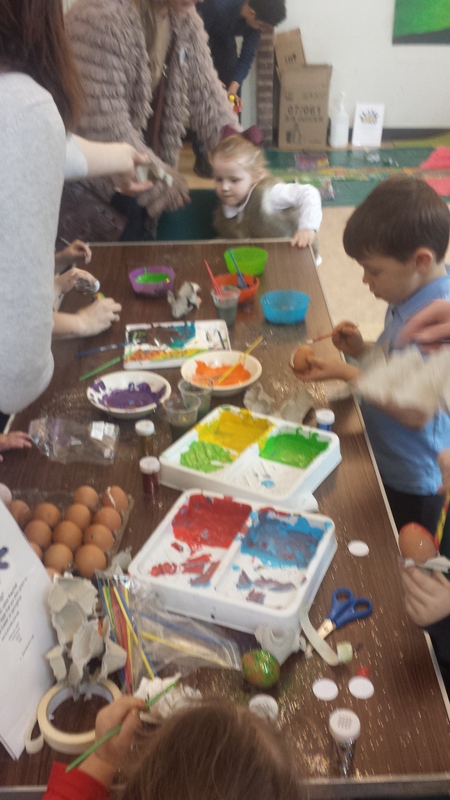 At Messy Easter this year we had a whole range of fun activities to get stuck into – everything from egg and spoon races to covering a big cross in paint and glitter. With the help of the children, we acted out the Passion narrative. This helped us to remember what Jesus has done for us and think about the meaning of Easter. Lastly, but not least, we ate together and decorated biscuits. Once again, a big thank you to everyone who came and to those who helped – we had a great time! This entry was posted in Messy Church, Parish News and tagged Messy Church. Bookmark the permalink.